I was waiting for the bus for an interminable amount of time today in front of the Asia Institute offices. 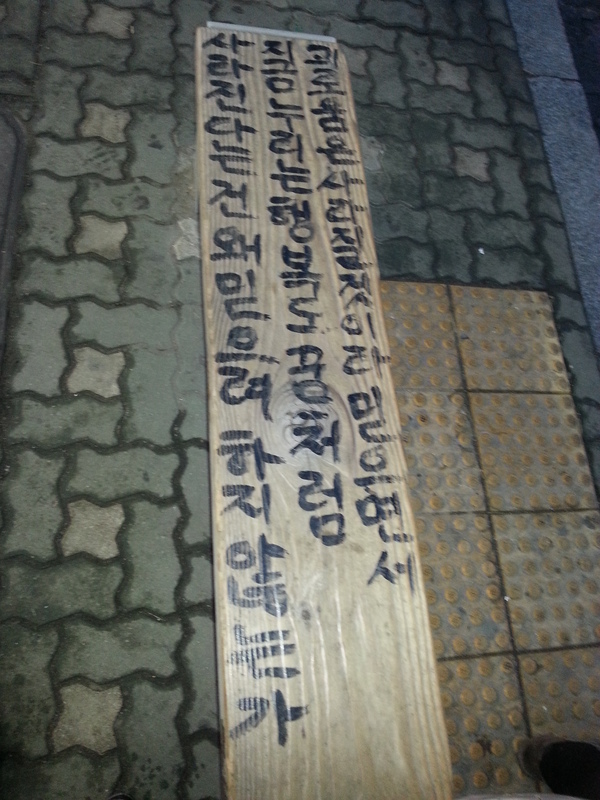 When I had had enough, I happened to glance down at the bench and spotted this this short note scrawled on its surface. The phrase struck me as particularly significant. A rip in the surface of things that forced me to think a bit about the tremendous depth of this daily life I toss away in my rush to create some better future. Emanuel, I love this post. It speaks to me directly as Iâve entertained this thought off and on over the last few days especially â Iâm now involved in so many boards, projects, emails, and activities â I love it all, AND I forgot that for a while I would wake up consciously being grateful for the simple act of opening my eyes on another day. Thank you for reminding me that I have created the life I lead and Iâm so fortunate to have the opportunities I do to influence for the better not only my life but that of many others. At the same time, Iâm deeply grateful for my health, wealth, and happiness of this moment, knowing it will not last. Itâs bittersweet and not perfect â there are still so many things to do , people to love and support, the goals are never reachable, and there is so much to propel me to wake up daily for as long as possible! A great meditation at the end of this year and the start of 2015. Thanks, friend.